Glacier Filtration - News - One of SA’s smallest treatment plants has won best tasting tap water! One of SA’s smallest treatment plants has won best tasting tap water! Glacier Filtration would like to congratulate SA Water’s Woolpunda Water Treatment Plant! It is one of SA’s smallest treatment plants and has won the 2018 Ixom Best Tasting Tap Water in South Australia by the Water Industry Operators of Australia (WIOA). 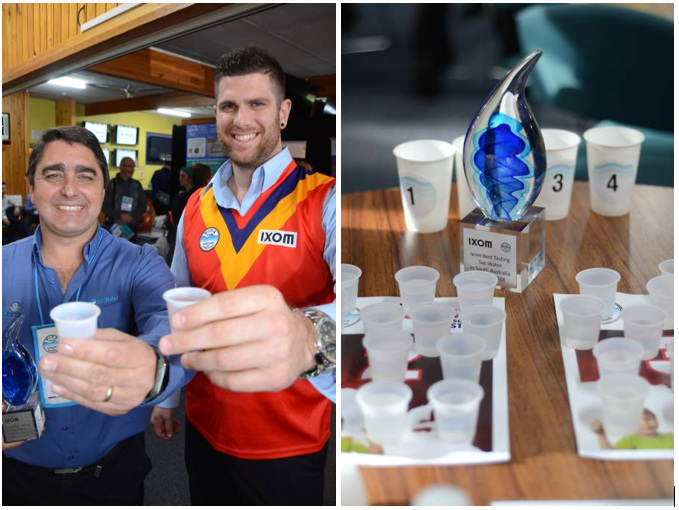 The water taste test is a fun and exciting way to raise awareness of the quality of SA’s drinking water and to recognise the efforts of local water service providers in delivering valuable water services to their communities.